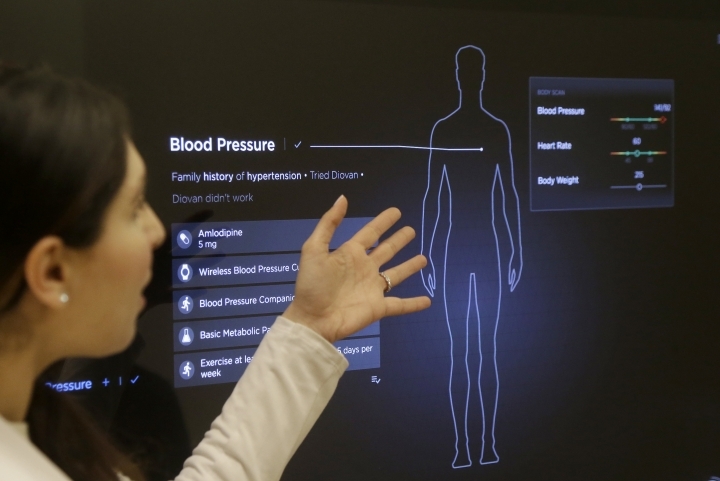 SAN FRANCISCO — After a relative suffered a heart attack a few years ago, Silicon Valley entrepreneur Adrian Aoun got an unsettling look at a health-care system that he diagnosed as an inefficient and outdated mess. Now he believes he has a remedy. 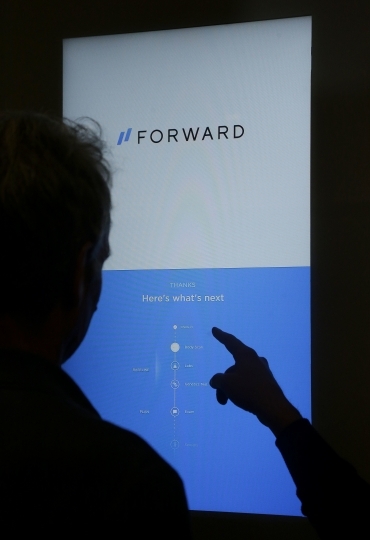 It's called Forward, a health-management service that charges a $149 per month — roughly $1,800 a year — to tend to all of its patients' primary-care needs. 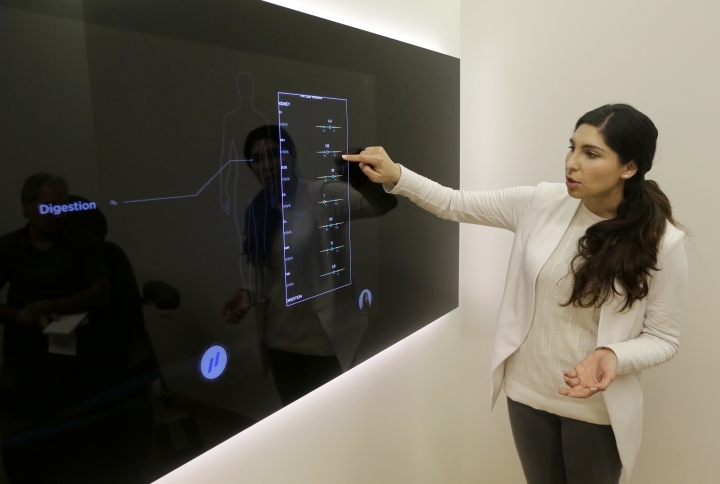 And not just with attentive doctoring, either; Forward plans to deploy body scanners, sensors, giant touch-screen monitors, infrared devices and other high-tech gizmos that could make a doctor's appointment feel more like a trip to an Apple store. "Doctors are super smart, but they are set up for failure in so many ways," Aoun says. "We haven't built the tools that they need to operate in modern life. No one wants to go to the doctor's office today. We want to change that." Forward will still refer patients to outside specialists when its primary-care doctors can't deal with certain health problems; same goes for hospital admissions. And there are bound to be health insurance headaches that Forward isn't attempting to address. That means Forward is unlikely to become a cure-all, especially because its membership fee isn't cheap, said Paul Ginsburg, a health-policy expert at the University of Southern California. "Primary care is a very small part of the cost for what health insurance covers," Ginsburg said. "So, even after paying nearly $2,000 a year, you are still going to have to buy health insurance to cover everything else." Forward's patients can view all their medical information on a mobile app they can use to message a "care team" available around the clock. 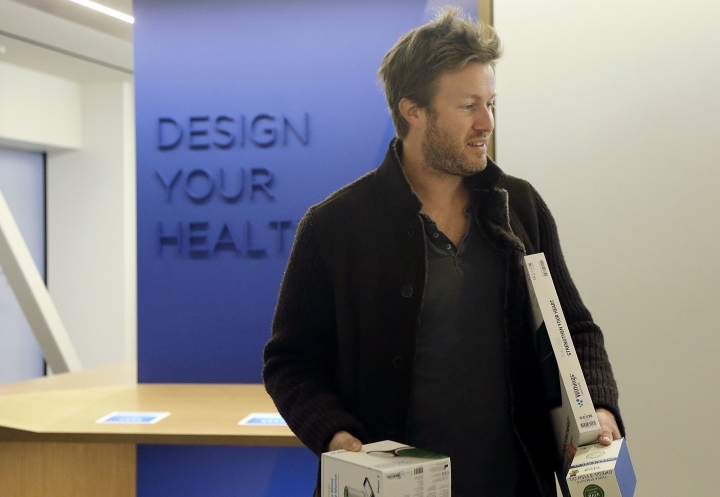 All blood and DNA tests are done at Forward's offices instead of being farmed out; the company says patients will be able to review the results in a matter of minutes instead of days later. 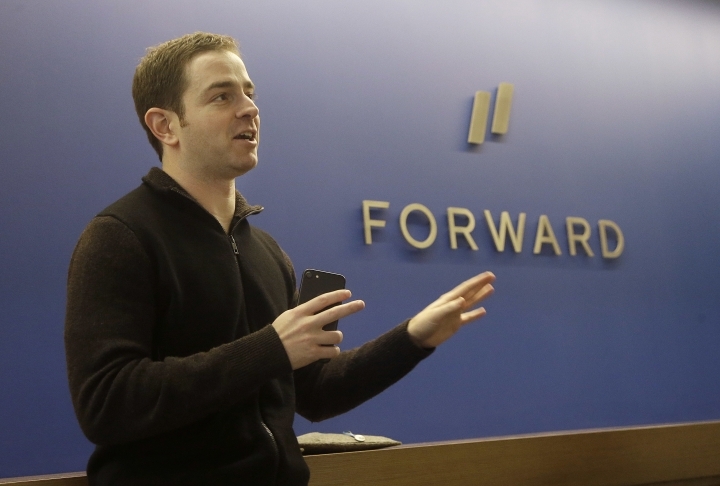 Forward's attempt at a medical makeover began Tuesday with the opening of its first office in San Francisco. The converted clothing store spans 3,500 square feet, enough to accommodate six exam rooms and a team of doctors. The office should be able to accommodate 12,000 patients in total before turning people away. Additional Forward offices are planned in other major U.S. cities, although Aoun won't say where they will be located or when they may open. 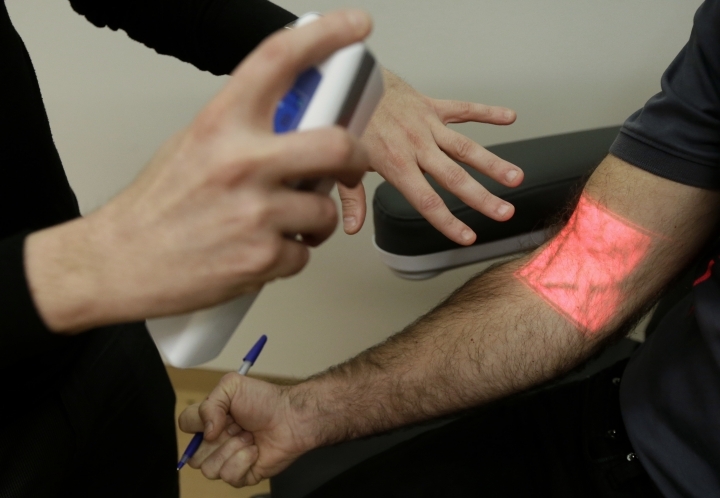 While Forward's concept of technology-driven preventative care may make sense, experts like Ginsburg worry that its emphasis on health-monitoring sensors could prompt doctors to run unnecessary tests that do little to improve patient health. "The notion of scanning people who don't have a problem has been very solidly dismissed by the medical profession for a while," Ginsburg said. Studies have shown that the best way to remain healthy is to eat right, exercise and get plenty of sleep, added R. Adams Dudley, director of the Center for Healthcare Value at the University of California, San Francisco. 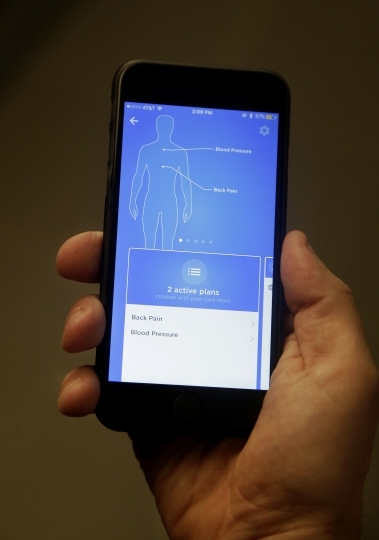 "Sensoring people all up isn't going to change any of that," Dudley said. 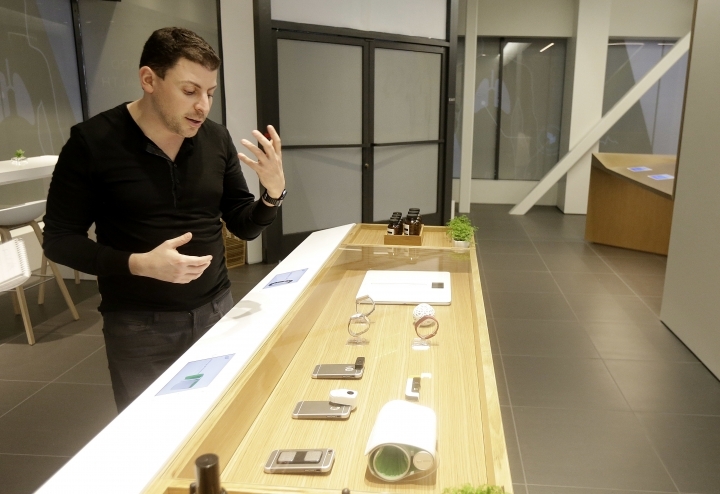 "I wouldn't necessarily say it feels like a tech-heavy experience. I would say it just feels like a better experience," Shaffer said after picking up a scale at Forward's office to help monitor his weight. It's an example of artificial intelligence, the ability of computers to learn from the data that they collect. Artificial intelligence, or AI, is an Aoun specialty. He sold an AI startup called Wavvi to Google for about $30 million in 2013 and then stayed on for a couple years to help work on some of the technology that now powers Google's voice-controlled assistant. But Dudley doubts Forward's AI will be very effective unless it's able to build a large network of offices that attracts millions of patients. "A human brain can learn faster than a machine unless the machine has a massive database to analyze," Dudley said.